Our cleaning rates are one of the lowest in Harpenden. Even better, by contacting our staff now you could get a better price suitable to any of your cleaning needs. Cleaners Harpenden is a locally based cleaning service company. We have operated in this dynamic market sector for a number of years now which has given us the necessary experience and knowledge to perform exceptionally well on any job. 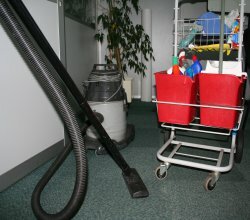 Cleaners Harpenden specializes in all types of domestic cleaning. We can perform steam and deep cleaning of carpets, curtains, sofas or other fine fabrics and materials where the use of specialized cleaning systems is required. The company also offers a wide range of quality one-off cleaning services, as well as end of tenancy cleaning. For a complete top to bottom domestic service, customers can take advantage of our affordable gardening service which delivers great results with no additional fuss. Cleaners Harpenden is an eco-friendly, green cleaning company. We use only non-toxic, non-harmful detergents and materials as customer health and safety is of utmost importance to us, we implement a strict policy of minimum water wastage which is great news for both customers and the environment. Our technicians come fully prepared for the given job, we have all the necessary equipment and materials. We understand that customers need their service done quickly and efficiently, therefore we send out a team of cleaners, where one won’t do, fully equipped and ready to do a great job. Cleaners Harpenden is fully licensed to perform all types of professional domestic cleaning services, the company has all the required trade insurance for customer peace of mind. All our work is done in strict accordance to all health and safety regulations imposed by the relevant authorities. Book with us and get top quality, professional carpet cleaning. Book with Cleaners Harpenden and benefit from our high quality and affordably priced cleaning services. Cleaners Harpenden recommends that professional upholstery clean up should be done at least once at six months, once in spring and once in autumn for top results. Cleaners Harpenden also offers outstanding, affordable regular house cleaning, suitable when you need the extra cleaning help on a regular basis. The general deep cleaning includes everything in the house from top to bottom, including bathrooms, kitchens, toilets and all the general use area. Cleaners Harpenden has devised a special cleaning checklist that deals especially with the issues raised by after builders and building alterations.